Here’s my latest – just out – available from amazon and Endeavour Press as an ebook. 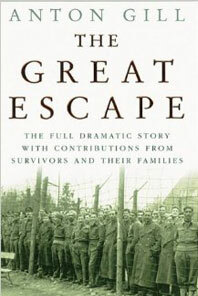 Quite a lot of fascinating research went into this one and it’s a much better story than the old Steve McQueen movie makes of it – especially the aftermath of the escape and the way the Germans treated the recaptured prisoners. A whole book could be written about the RAF police investigation into the Gestapo in 1946 as well. My book was originally published by Hodder Headline in 2002 by the way! It was a privilege to go to one of the reunion dinners of the escapers; and I’m still in touch with one of them, who was made much of everywhere he went when he visited me in Paris.